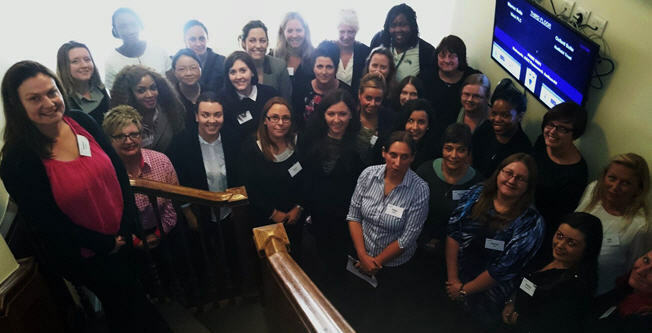 Held at London’s Hallam Conference Centre, the inaugural ‘Women in Taylor Woodrow’ event was aimed at supporting and retaining female employees already in the business, while also encouraging others to join. Throughout the day, group discussions addressed the issues facing women in construction, with topics including recruitment, retention and restricted progress. Recent studies suggest that women represent just 12 % of the construction industry workforce and as little as 16% of construction and engineering related degree courses. Rail Sector Director Fred Garner said these figures symbolise a loss of talent for both the industry and Taylor Woodrow, particularly at a time when over 180,000 jobs will need to be filled in the next five years. Initially conceived by Senior Design Manager Pippa Higgins, the event was the starting point in a much wider programme of initiatives. Also in attendance was guest speaker Linda Miller – a project manager for Crossrail – who talked about resilience, optimism, and mentoring as well as the benefits of professional development and qualifications.